1. It is official. I am in. In October I will be running again the Bank of America Chicago Marathon. I am very excited!! 2. Last week I attended a reception at Fleet Feet Chicago for the premiere of “Finding Strong”. I was in class most of the evening but made it with enough time to talk to Bart Yasso and David Willey. They’re both really cool guys! 3. It’s been 11 days since the last time I ran. I finally ran yesterday. I went to the gym and only managed 3 miles. Boo me. That brings me up to a grand total of 34.22 miles. I am behind in the Nike+ Leaderboard. I guess I am still in recovery mode because I am so tired every single day. I was supposed to go to Utah this weekend for a half marathon but decided against it. No desire to race this weekend. Ha, better get out of this weird mood and be ready for the Nike Women’s Half Marathon on the 27th. 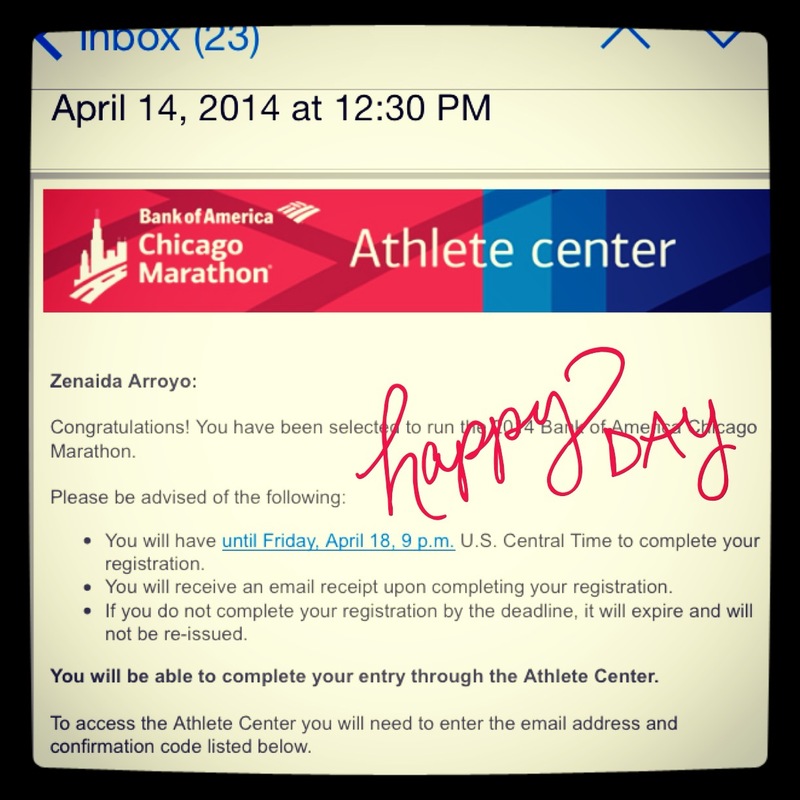 Congratulations on getting selected in the Chicago Marathon lottery! And how cool that you got to meet Bart Yasso and David Wiley. I am also envious that you got to meet Jeff Galloway a couple of times before, too!